Thanks to Tanya for a fantastic All Saints Day. The presentations were lovely and informative. I never cease to be impressed by our kids’ ingenuity and enthusiasm so thank you, also, to all the mums who put in great efforts to make the day a success. 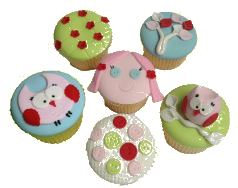 B.Y.O cupcakes & B.Y.O creativity! You are currently viewing the archives for November, 2013 at Catholic Homeschool Activities Group.